Kendall Jenner inspires us daily with her off-duty street style outfits and this one is one for the books. 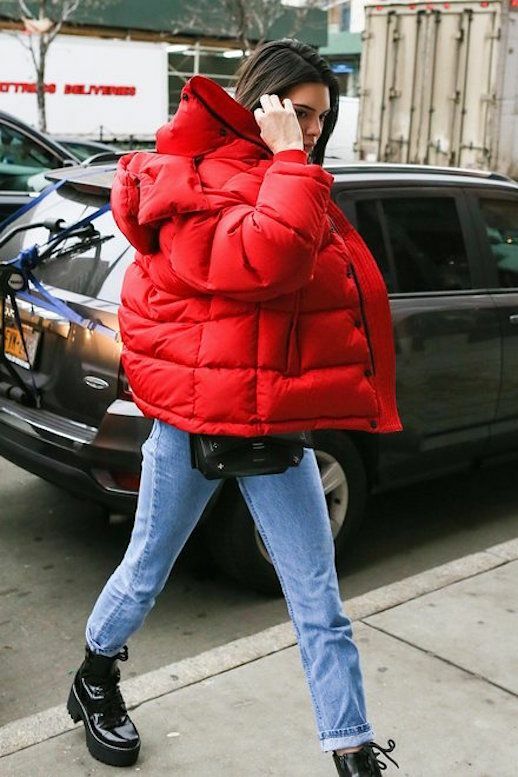 The puffer jacket has long been a New York City necessity during the winter, but has proven a fun trend to try everywhere after being showcased at Balenciaga and Stella McCartney. The model paired the statement piece with straight-leg jeans and patent leather platform creepers.